For millennia, southwest Utah’s Paria River has carved its way through the coarse, multi-layered sandstone formations that comprise the Paunsaugunt plateau from which it descends. After a 75-mile journey through the wilderness of what is now the Grand Staircase-Escalante National Monument, the Paria, which means “dirty water,” descends through the Vermillion Cliffs for another twenty miles. Five miles southwest of Page, Arizona, the silt-laden river offers what waters it has gathered to the mighty Colorado River at Lee’s Ferry. The Paria River meanders 95 miles through the Grand Staircase-Escalante National Monument and Vermillion Cliffs National Monument before joining the Colorado River at Lee’s Ferry just below Glen Canyon Dam. 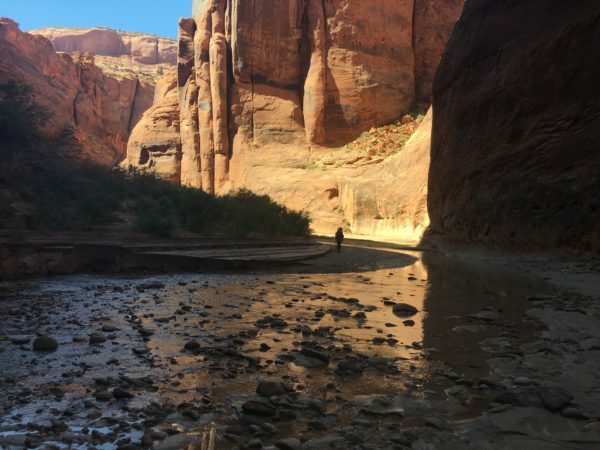 Photo Credit: Author’s personal photo from his September 2017 excursion through the Paria River Canyon. “Creek” or “stream” may be a more apt description of the Paria River, which is not actually a navigable body of water. While the summer monsoons fuel intermittent, violent flash-floods that sweep through the Paria’s narrow slot canyons, the Paria is one of the Colorado River’s smaller tributaries. Despite its diminutive size, the Paria retains an important place in the annals of the exploration and settlement of the American West and the public domain. The concept of the public domain dates to October 30, 1779, when Congress requested that the states relinquish all claims to the unsettled country between the Appalachian Mountains and the Mississippi River. The acquisition of land helped the federal government to honor its extensive wartime debts – primarily from the Revolutionary War and the War of 1812. In many cases – in lieu of paying soldiers for their service – the federal government issued valuable land patents to them. Thomas Jefferson and others also deemed western lands as essential to the preservation of the young republic. According to historian Mark Fiege, the public domain had potential to “keep the United States in a youthful, vigorous condition, by absorbing population, democratizing wealth and defusing class conflict, and providing the means to end slavery.” To that end, Congress passed laws that dictated federal land policies that would govern the use of land and, eventually, the use of precious water resources like the Paria River in the arid West. After the Civil War (1861-1865), the United States government took up the cause of carving up the West again. 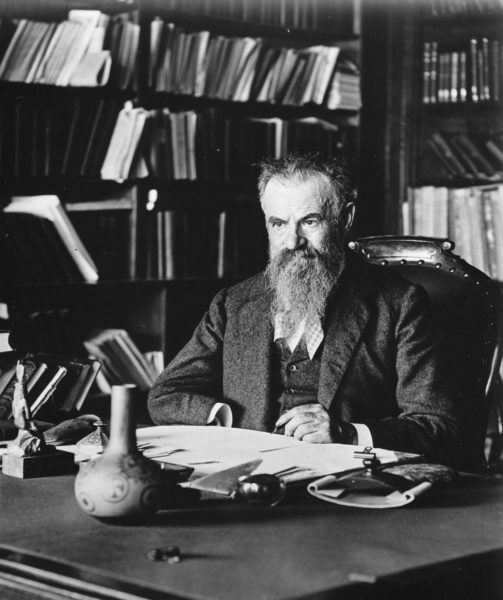 Major John Wesley Powell undertook the final exploration of the Colorado River by a Euro-American. In 1869 and then again in 1871, Powell directed two river expeditions that filled in the remaining blank spots of the United States’ interior. 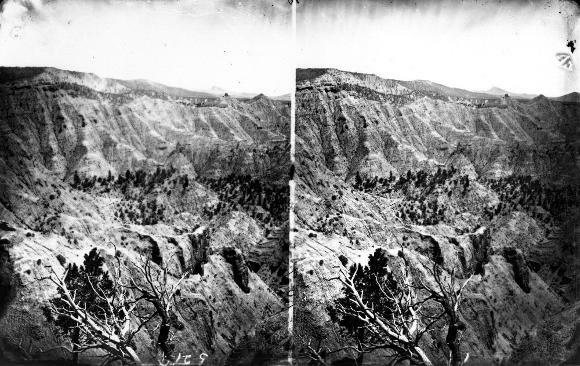 Powell’s subsequent survey, known officially as the Geographical and Geological Survey of the Rocky Mountains Region, revealed the unknown and provided new vision for the project of American colonization. During a recent excursion through the Paria River Canyon, I began to ponder Powell’s exploration of the Colorado River. One of his surveys eventually traced the Paria River to its source at the edge of the Paunsaugunt Plateau. The survey meticulously observed the Colorado River and its tributaries and allowed Powell to discern detailed erosional patterns in the continental interior of the United States and the deep earth processes that created the Colorado Plateau. The surveys produced a wealth of geological, geographical, and ethnographic knowledge that proved foundational to the United States Geographical Survey (USGS) and the Bureau of Ethnology (Department of Anthropology). Powell’s scientific investigations also revealed the unifying theme of the American Southwest – aridity. Armed with a growing body of knowledge, Powell sought to bring order to the complex stratigraphy of federal lands policy and to adjust the Homestead Acts’ provisions for the number of acres allotted to farmers and ranchers so that they might have a realistic chance to make the desert bloom. 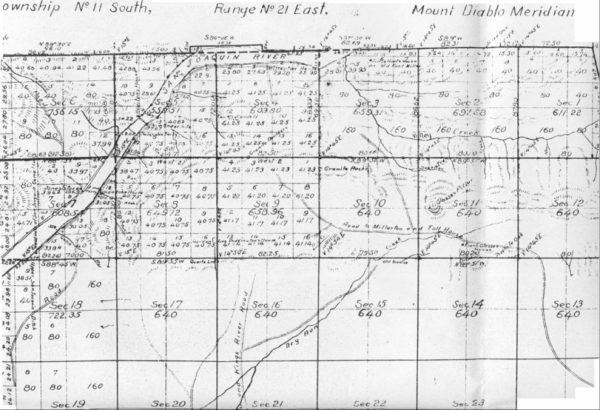 Powell understood better than anyone that the region’s variety of high plains, great mountain ranges, and expansive deserts were “hostile to a too-rigid traditional pattern of settlement” that had been established by the Public Land Survey System. Surveys like that of the Paria River helped Powell formulate a revolutionary blueprint for the settlement of the American West. Well-versed in the unique geographical challenges facing the region, Powell hoped to forestall the waves of nesters, squatters, and homesteaders already moving across the plains to claim their tract of public domain. Powell’s vision of settlement was antithetical to the grid system imposed by the policies of the late 18th century. What Powell advised instead “was a complete revolution in the system of land surveys, land policy, land tenure, and farming methods in the West, and a denial of almost every cherished fantasy and myth associated with the Westward migration and the American dream of the garden of the World” as proscribed by Manifest Destiny. Powell’s ideas would fall on deaf ears, unfortunately, and only after the homesteading experiment failed would his recommendations be granted credence. The arid Paria River Canyon serves as a reminder of Powell’s vision to develop the West in a way that considered its ecological constraints. Ultimately, Powell championed an approach where political and economic institutions would adapt to the environmental realities of the West, rather than attempting to bring to heel the stubborn nature of the American Southwest. 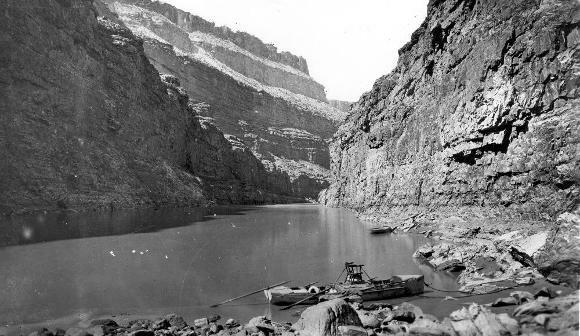 Wallace Stegner, Beyond the Hundredth Meridian: John Wesley Powell and the Second Opening of the American West. (New York: Penguin Books, 1953): 212-213. Mark Fiege, “The Democratic Promise of Nature Preservation,” in After Preservation Saving American Nature in the Age of Humans, eds. Ben A Minteer & Stephen Pyne (Chicago: The University of Chicago Press, 2015): 116).